Amazon Book Stuffing Crackdown, An Imperfect System? 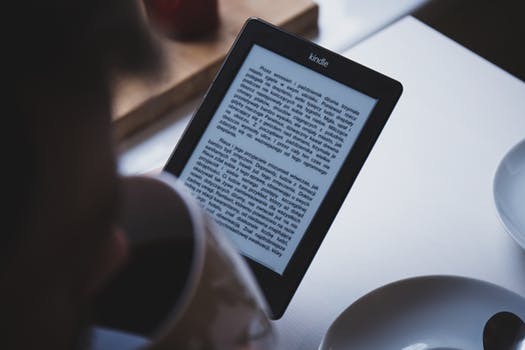 As publishers, writers and authors, we've all reveled in the opportunity known as Amazon Kindle Direct Publishing. Now that the platform is flexing its muscle in the 'book stuffing' controversy, is it time to re-examine Amazon's power in publishing? It's a nightmare scenario for any writer: suddenly one day, for reasons you don't quite understand, Amazon sends you an email telling you that they have suspended your Kindle Direct Publishing account. To make matters worse, Amazon will further restrict you from accessing KDP in the future. Furthermore, you won't receive any future royalties owed to you. Unfortunately, this has recently happened to six self-publishing novelists including Bakersfield, California based author J.A. Cipriano, and Michael-Scott Earle, an Austin, Texas native. With over 130 novels between them published solely through Amazon, both authors were taken by storm and surprise when they found out that Amazon gave them the hammer. To see a screenshot of Amazon''s email to Cipriano, check out this Yahoo Finance article. While the authors claim that Amazon refuses to give any clear explanation regarding their account terminations, Amazon seems to think that the authors were attempting to 'game the system' in order to sell more books. Authors Using Book Stuffing Method To Gain More Sales? The assertion is that both authors manipulated KDP services, particularly KDP Unlimited, a program that compensates authors based on how many pages of their books are read, similar to music streaming. By artificially raising the number of read book pages, a scam otherwise known as 'book stuffing', a writer can move up Amazon's bookstore ranks while other writers are none the wiser. One popular, prevalent method of this scam involves placing a 'disruptive link' at the beginning of the book, that when clicked, would jump the reader to the end of the book for the bonus content promised by the link. A false positive is then sent through Amazon's system, and the author is credited with a full read-even though the reader only read about 5% of the book. And Amazon is cracking down... hard. So much so, that they recently rolled out stricter policies against those who violate the ToS (Terms of Service). So what about authors like Cipriano and Earle? Is Amazon Unjustly Banning Its Authors? According to accused KDP authors, Amazon has not provided sufficient evidence of fraud or wrongdoing. Amazon ultimately reserves the right to "terminate a user's account without warning", only citing its grievance briefly without much further help in the matter. Whether Amazon's arbitrage proves to be true or false, these cases should serve as an example to other authors on the platform. As a self-publisher, is remains vital to diversify your publishing channels, making sure to keep all eggs out of basket. There are several sites that allow self-publishers to advertise material. Similar to the 2017 YouTube Adpocalypse that saw thousands of users get swept away in a massive demonitization ring, could Amazon's system begin banning author accounts due to mere mistakes in operation? Or could authors be the victims of indiscriminate distribution of violations? Let me know what you think about this below in the comments.